Sefton Council’s Chief Executive Margaret Carney has announced that she will retire in May after 10 years in post. Margaret, who has worked in local government for more than 40 years, told colleagues and partners that it has been the most difficult decision in her career but feels the time is right to hand over the baton to a new Chief Executive who can build on Sefton’s successes. 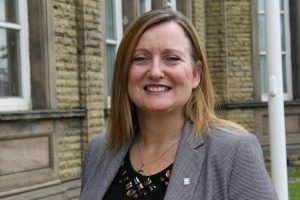 She said: “It has been an absolute privilege working with such hardworking, committed and passionate staff, councillors and partners over probably the most challenging period ever for local government and public services. Under Margaret’s leadership, the Council has continued to provide hundreds of services to its communities and maintained a strong financial track record despite austerity. She also spearheaded the development of a new and exciting vision for the future of the borough, working closely with partners, businesses, private sector organisations, the voluntary, community and faith sectors and the wider Sefton community. The Vision 2030 was borne and ensures the Council focuses on what is important for the borough and its communities in the future. Earlier this year, the Council was praised for demonstrating real ambition for Sefton, for its strong track record of partnership working, place leadership and for having such a dedicated, passionate workforce by the Local Government Association’s (LGA) peer review team. This, Margaret says, is a real high to end her career on. Sefton Council will start the search for a new Chief Executive immediately and Margaret will leave the Council on May 31 under normal retirement rules. She’s done nowt for Southport as a holiday town, useless. Very difficult with all the Tory cuts to keep Sefton Borough Council in such a good condition. I am sure she has done a good job in the most difficult circumstances. If Sefton Borough Council is in "such a good condition" (your words) despite all these Tory cuts then it just goes to prove that these so called "cuts" have not turned it in to a bad condition. It always makes me laugh when you far left Socialists spout about Tory austerity. When will you people ever learn that you cannot keep on spending money you don’t have. You’d be the first to complain if your Council Tax was to rise by £100. Quite agree. I am not a socialist but Southport is in the states it’s in because nothing whatsoever has been invested here. It’s not rocket science. Bet she won't have a problem drawing her lucrative Pension! Following a full time career, Jim has now settled in to a challenging and exciting role as club professional at Southport and Ainsdale Golf Club.